Dr. Daniel M. Stewart provides comprehensive dental implant and periodontal care as well as TruDenta pain management to the Richardson, Dallas, Garland, Plano, Allen, Murphy, Wylie, Sachse, Rowlett, Lakewood, Lake Highlands and Rockwall communities. Our commitment is to offer excellence in a wide range of periodontal care and implant dentistry. We are also excited to provide the latest technology addressing headache and TMJ pain relief, the TruDena system. Our team is dedicated to provide each patient with the utmost respect, honesty, and care. Dr. Stewart continues to successfully complete extensive continuing education, always keeping his knowledge current. He is one of only a few periodontists in Texas to complete the University of Texas Health Science Center Dental Branch Preceptorship in Dental Implantology and the surgical curriculum of the Misch Implant Institute which included advanced bone grafting. He is also a past clinical instructor in Periodontics at Baylor College of Dentistry. 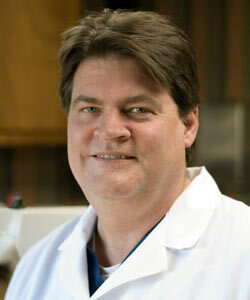 Dr. Stewart was born and raised in Corpus Christi, Texas. He has been married to his high school sweetheart, Jeanann, for over 30 years. They have two grown children, Rebecca and Adam, and a son-in-law, Wade. Dr. Stewart is grateful for love and support of his parents who also now live in Houston. He is very active in his church, twice serving on the Vestry board of directors. He enjoys reading and listening to music of many varieties, as well as attending concerts and plays. He also loves to fly fish, although not as often as he would like. Dr. Stewart and his wife love to travel when time permits.